The system used cutting dryers with injection of the SAS CuttingsClean 116B. The dry and clean cuttings were discharged and the fluids were processed through a decanter centrifuge. 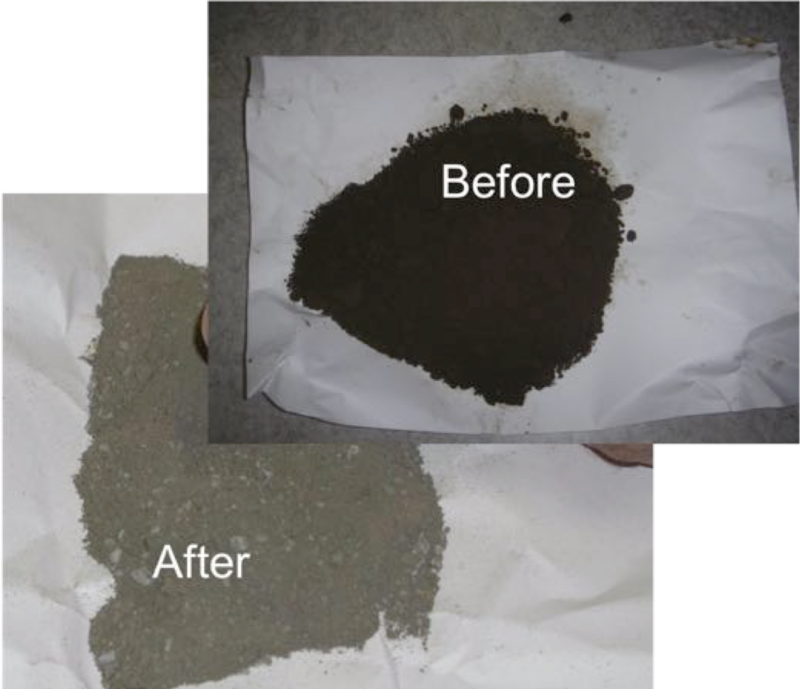 The recovered fluid was re-used in the drilling mud without detrimental impact and the aim of the project to clean drill cuttings and reduce drilling mud costs was achieved. The cuttings were consistently below 2.1% oil on cuttings, which met the criteria for discharge and cut transport costs and logistics. Previously drill cuttings were regularly over 8% oil on cuttings after shale shaker and cuttings dryer and this created transport and disposal issues. In addition a significant amount of drilling fluid was lost on the drill cuttings. Rig 1 : The SAS CuttingsClean 116B was used to treat cuttings from 5 wells and this generated mud savings of $70k. Rig 2 : The SAS CuttingsClean 116B was used to treat cuttings from 2 wells and this generated mud savings of $28k. Rig 3 : The SAS CuttingsClean 116B was used to treat cuttings from 3 wells and this generated mud savings of $35k. Savings on drilling mud per well ranged from $4k to $40k and on average 134bbl of mud was recovered per well, in total mud savings were $133k. The SAS CuttingsClean 116B product can be used with the SAS MIST 103 System, and will process 5 - 40 tons of drill cuttings per hour to 0.2% - 3% oil on cuttings.